It’s finals season in Rugby League. In fact, yesterday, I watched my team, the South Sydney Rabbitohs, lose in the semi-finals; I was heartbroken. Where I live in London, at least in my circle, that carries little weight or meaning. While I grew up watching Rabbitohs and my cousin play for the Wests Tigers, most of my friends had never heard of NRL, let alone seen a game. But sport, for many, is more than a just game, more than entertainment. It is part of their heritage, a component of one's identity. 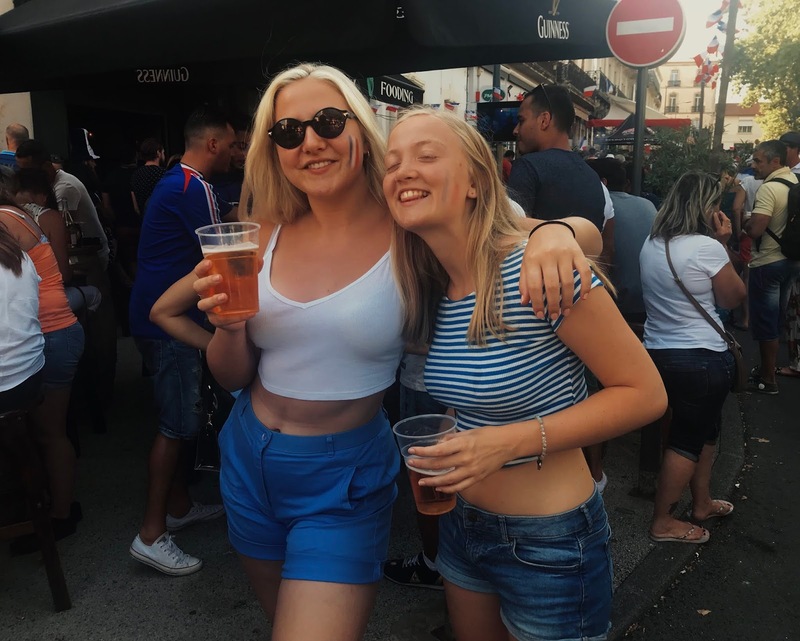 I spent a week in the South of France with some family friends at the time of the World Cup final. My friends are an English family who live in France and had been religiously following the World Cup. For them it was both a connection to England and an opportunity to exercise their patriotism for France, their adopted home. They were astonished when I revealed that despite growing up in England, I'd never watched a game of football/soccer. So, my introduction was watching France play Croatia in the World Cup Final on TV, sitting in a bar of the South of France with scores of locals. As introductions go, I couldn't have picked a better time or place. The atmosphere was buzzing. Everyone was adorned in red, white and blue. My friend Edie kept telling me about how 1998, the last time France won the World Cup, was a legendary year (she wasn't even born at the time). It's something she had always heard about in Beziers (the town we were in) and she was ecstatic at the thought that she would be able to live through another legendary match, exactly twenty years later. The streets were lined with fans and everyone was totally invested in the match. As the game progressed, the pints were downed, the screams grew louder, and I started to realise how important this was to the local people. And of course, France won. The celebrations after the win were wild. There were flares, boys piled in cars painted in French colours, racing up and down, honking and screaming. Edie kept running into people she knew - the whole community had turned out for the event. Despite not knowing the sport or even the language, it was an extraordinary experience and I had a bloody great night. It got me thinking about our relationship with sport and identity. Truthfully, when the world cup began, I resented it slightly. England did surprisingly well, to the point where people would run down my street yelling 'It's coming home' - a reference to an England football song from days gone by - and I'd groan. England were playing the night of my school prom and I rolled my eyes when the boys left us to watch the match on the big screen. At the time I thought it detracted from things that were important. But when I stood back and thought about it more, I saw the power of sport to unite. Britain is a nation deeply divided due to the decision to leave the European Union. But in England, the success of the soccer team almost united everyone. Even though the country is facing major uncertainty with views deeply divided, I saw how sport could spark the very best type of patriotism. Of course, England lost in the semi-final. I can't help but wonder if England had made it to the final, and actually won, if it would have healed some of the deep wounds in wider society. So why wasn't I moved by it? Why was I not captured by the same spirit as the rest of my friends and most in the country? It's because of my identity. I was born and raised in London and I am a proud Brit but my father is Australian and I also consider myself an Aussie, with a deep emotional attachment to the country and its people. And for my family, ‘football’ translates to Rugby League. My great grand-father played for South Sydney between 1920 and 1930. His brother and their sons played for the Rabbitohs at different levels over the next thirty years. My grandfather was a life member of Souths and, when he was buried, his coffin was draped in red and green. My father and his family grew up in Alexandria, the Souths’ heartland. He played League as a boy and young man but not professionally and not for Souths. He left Australia nearly three decades ago yet he remains as passionate as ever about the club. He even worked on the turnstiles at Redfern Oval as a young teenager and, despite having had an amazing international career which has taken him all around the world, remembers with awe the greats like Bobby McCarthy, Ron Coote, and Eric Simms. His father and his uncle were part of one of the rescue efforts when Souths were in trouble in the seventies, well before Russel Crowe bought the club and brought to it the professionalism and success that it enjoys today. I am told that if you search South Sydney archives for the name ‘Lawrence’ it will appear more than any other surname on the playing roster. I can’t confirm this, but it is a great story and it is an attachment of which I’m proud. Watching Rugby League, for me, is a lot about connecting with my heritage. I am so grateful to have grown up in London and I’m a London girl at heart but my Aussie roots and Rugby League connections help define me. It is a sport known for its courage, its toughness. When you get knocked down, you get straight back up again and keep moving forward. My dad taught me about John Sattler, the benchmark for toughness, and a man to this day he admires more than anyone else. My dad taught me the metaphor of ‘broken play’ when talking about how and when to flirt with boys. I was told to ‘play what’s in front of me’ went I went into my final exams not as prepared as I wanted to be. When I need to focus, I think, get to the try line. When I’m not sure which way to turn and don’t want to over plan, I play ‘eyes up footy’. So Rugby League informs not only who I am but the language of my life. It is also I love I share with my father, who I would call not only my Dad but my best mate. The Lawrence involvement in the professional sport lives on. My cousin, Chris, is a veteran of Wests tigers (and had an outstanding year in the second row). I had the thrill of watching him play for Australia at Wembley when I was much younger with my Dad and my-then sports teacher, Mr Brown, an Aussie and, unfortunately, a Cowboys supporter. 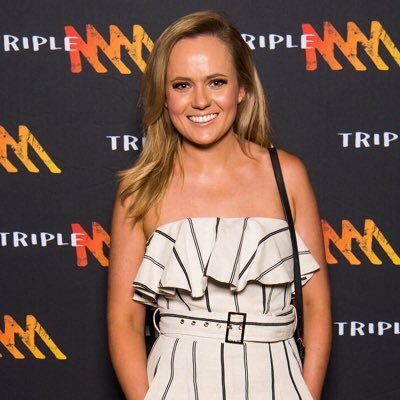 My cousin Emma is now a well-known Rugby League journalist, and has just joined Channel 10 as a senior Rugby League reporter. So the Lawrence name still features in the world of Rugby League. Despite growing up in London, where the sport is barely talked about let alone played, Rugby League is part of my identity. Not only that, I've inherited a passion for the sport. I was probably the only 18 year old London girl to watch the State of Origin. And I cannot wait for next year. I try to convince my West London, Rugby Union following male friends that league is the better sport. I show them the great talents of players like Kalyn Ponga, Angus Crichton and Nathan Cleary, to try to convince them (and I discuss with my female friends the talents of players like Kalyn, Angus, and Nathan but for different reasons…). The best conversation I have with my West London, Rugby Union following friends is about which is the better sport. And I maintain that it’s Rugby League. While I'm much more likely to shout 'Up the Blues' or ‘Go the Rabbitohs’ than 'It's Coming Home', I now better understand the role sport plays in identity and how it defines individuals and communities alike. It has the power to unite, to connect with your heritage and to make you who you are. And I couldn't be prouder to call NRL my game.